When our Event Coordinator began planning her daughter’s fourth birthday, ideas were all over the place. 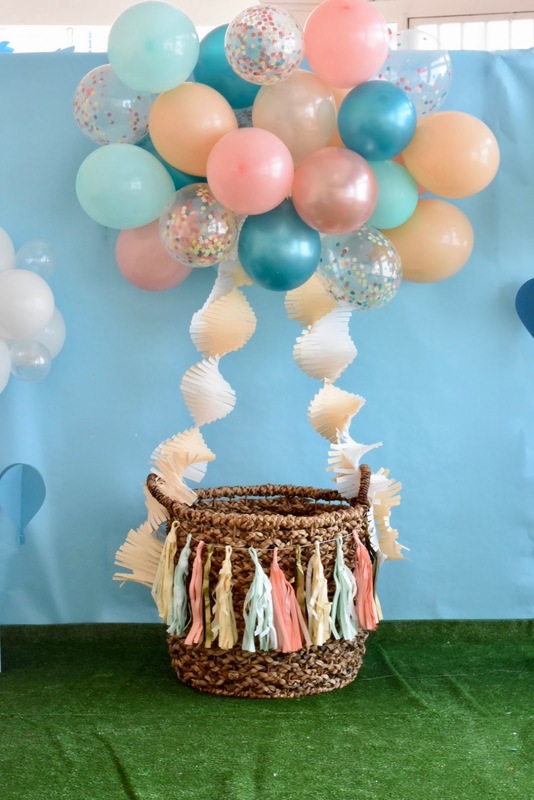 Sweet Caroline wavered between several themes, as any parent of a preschooler understands, and she finally landed on a hot air balloon theme and we ran with it before she could change her mind! 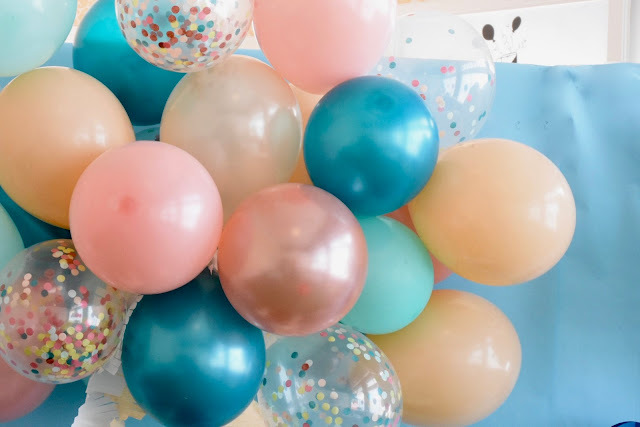 We used the Studio Pep Desert Balloons for color inspiration; Rachel leans toward neutral palettes and this one gave just the right pops of color. 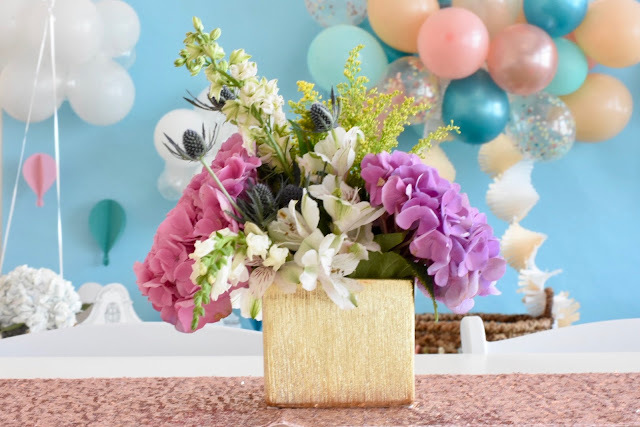 We added rose gold balloons for a modern touch. We filled balloons using an air pump and suspended them with fishing line above the basket. The textured crepe paper made a eye-catching addition to the basket and made a statement curtain behind the cake table. 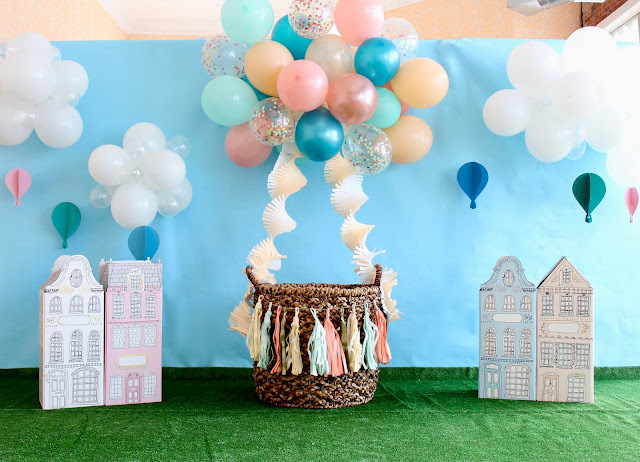 White and clear balloon clusters turned into multi-dimensional clouds with paper hot air balloons flying underneath. We used houses made by Gold Frankincense + Myrrh to bring a whimsical touch. 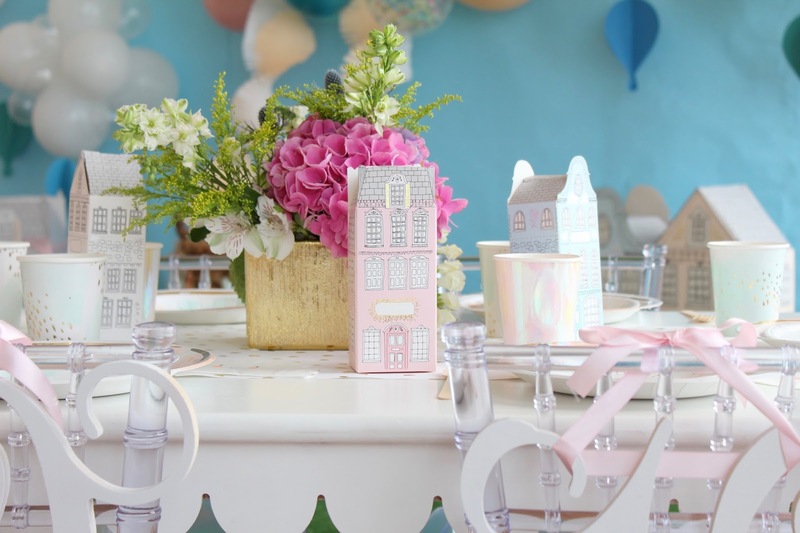 The small houses were a perfect table addition and could double as guest favors. Each guest went home with hand kites assembled in part by the birthday girl herself. 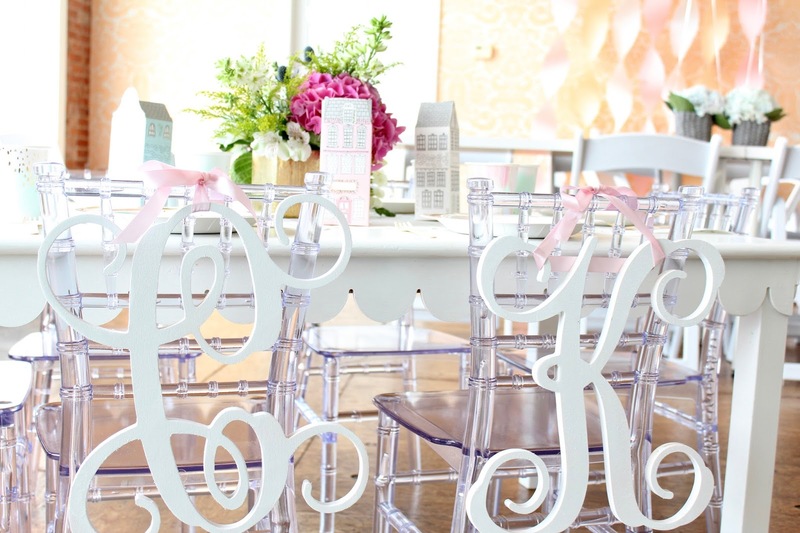 We used hand kites and white monograms to decorate the kids’ ghost chairs. On the tables, Rachel filled gray baskets and gold vases with hydrangeas; we tied balloons to the baskets, creating a tabletop hot air balloon effect. We used our favorite gold, speckled runner from Minted and placed Meri Meri iridescent cups mixed with Harlow & Grey Daydream Watercolor plates and cups. Cloud and hot air balloon shaped cookies from Sweet Sugarlicious by Wendi perfectly complimented the party colors. Wichita Cake Creations took several inspiration photos and put them all together to create this gorgeous cake, complete with the birthday girl’s initial! A balloon artist was the perfect party entertainment! We used a shop favorite, Twisted by Chris Conner. The party guests were treated to handmade balloon jet packs, mermaids, headbands, bracelets and more! 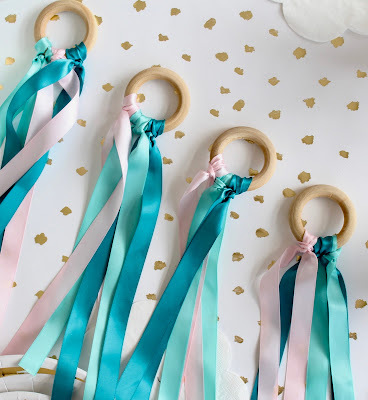 Great for a party combo of entertainment and party favors. This was such a fun party! If you’ve been considering a hot air balloon theme we are happy to brainstorm some ideas with you! Loved the whole way you did this, amazing and cool.I am so grateful for your post.Really thank you! Keep writing.